Loved the preexisting tire, it retains all the good qualities of the q3 and adds a little for about the same price can't beat that. Look at age even wear. This tire is definitely better than the original Q3. If you liked that one you'll love this one. It has more traction and last longer. 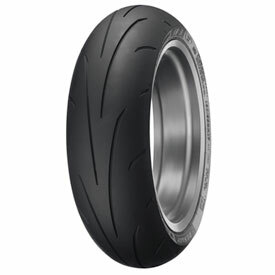 Dunlop Sportmax Q3+ - fabtastic tire. I bought these following a Dunlop presentation at the Jett Tuning / Ultimate Motorcycling track day event. 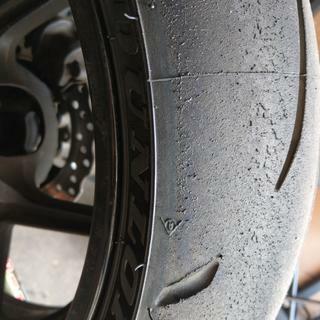 The Dunlop tech impressed me and the on-line reviews convinced me I should try them instead of my go-to tire, Pirelli Diablo SuperCorsa. So far, I am very impressed. If I didn't know they were Dunlops, I would not know the difference. These are mounted on my KTM Super Duke R. I ride mostly canyons and street - so I cannot attest to their track-worthiness. However, I'll definitely be trying them on my track bike in the future. So far just about everything in the promo videos is true! I have not had them out on wet roads yet and don't have enough miles to tell if they wear longer than the Q3's. These tires feel better with turn in, feel thru the corner and on exit drive out. I would rate them up there with the best.